In June 2013, the Scottish Government launched Scotland’s first national Play Strategy. The Strategy was built on the views of children and young people, parents and carers, the play sector and others involved in children’s wellbeing. It highlights the critical importance of play, as well as our obligation to protect our children’s ability to play. 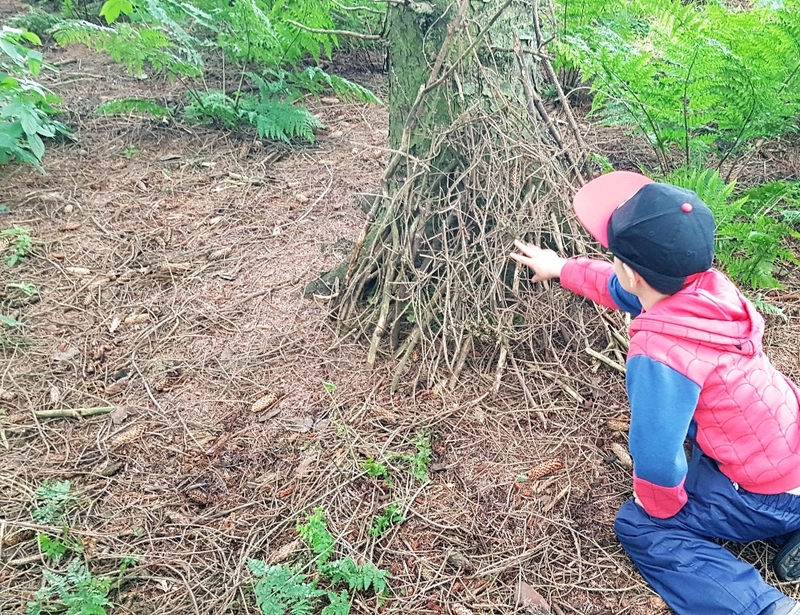 Emily Watts, Country Manager for Eden Project Communities Scotland, shares her experience of overcoming modern day worries about children playing outside and running her first outdoor play event. Although I was a bit of a bookworm when I was little, I did live in the countryside, and during the holidays my sister and I (and half the village) would grab breakfast, make a break for the door, for bikes and fields and not be back until dinner. Now my own child is eight and we live in Glasgow, and I wouldn’t dream of giving him that latitude. Because of my experience I’ve always felt the need to ensure we get out and play outside, but it’s not always easy in a big city when the house and garden are safe and warm. Explore: A great way to get children involved in new outdoor places is exploring. We started with a tale of a Giant’s Lost Underpants and set off on a journey to see if we could find clues in the woods. The stories and experiences that came back were amazing, and all in a 20 minute stroll. Build: We had some die-hard Minecraft fans among our group, and for them the challenge of building a mini-den was almost like ‘playing Minecraft in real life’ But all of the children enjoyed finding the perfect trunk to set their den up against, making a soft floor and gathering camouflage. Enjoy: Making things using natural objects can be fun and best of all, it’s free. But don’t underestimate the pull of games. I put in hide and seek as a short activity but we all had so much fun we played for close to an hour! Imagine: Leave some time for the children just to play using their own imaginations. Once they’re happy being outside, they’ll soon find something to do. One of the things our children wanted to do most was throw grass at each other. Or wear it as a hat. The ‘adult’ in me was thinking about washing and grass rash, but sometimes it’s good to take a step back because they really enjoyed it. So there you have it, if you can find a green space somewhere close, grab your waterproofs and wellies and head out for an hour or two – all you need is a spirit of adventure and your imagination. Want to find out more? Check out our 10 Facts about the Importance of Play and see how play can help build and revive communities in our blog A Community that Plays Together, Stays Together. "Open space allows children to be physically active and challenge themselves so they sleep and eat well and form healthy habits that will stay with them for life."